Features LCD display with adjustable contrast, 4-line. Great and so easy to use buttons. 12 speed dial memory. Large optical call indication. 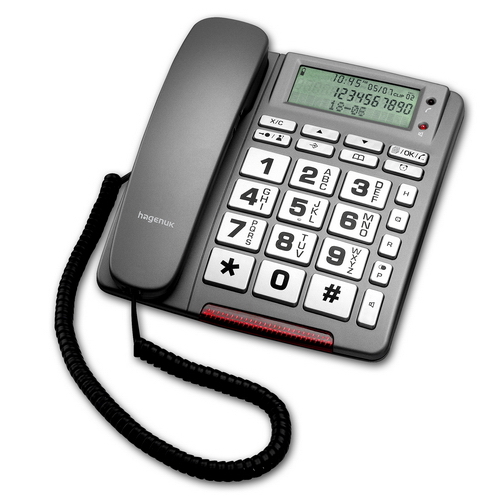 Speakerphone with adjustable volume. Hearing Aid Compatible (T-coil). Phonebook for up to 63 entries. Caller ID & register (55 entries). Redial (16x). Adjustable ringer volume. Adjustable handset volume. Mute. Call duration display Alarm function. Access code memory. Flash time adjustable. Wall mountable.